Serving-Ice-Cream.com asks, "What's going on in the ice cream world? ": The Secret Ingredient Is...Not an Ingredient at All! The Secret Ingredient Is...Not an Ingredient at All! 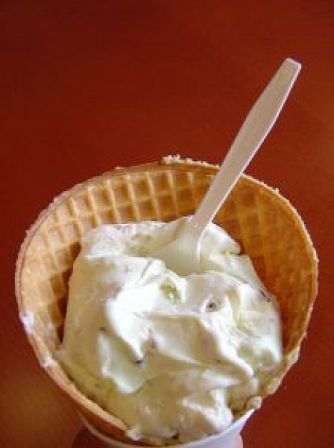 When we talk about different types of ice cream, flavors are usually what we’re referring to. If you ask someone what their favorite ice cream is, they’re likely to respond with a flavor, or possibly a brand. But there’s another factor that plays into ice cream, and one that might even be a more immediate influence on your taste buds than flavor. It’s the thing that triggers an involuntary sigh of satisfaction, or that has you digging into your bowl before you’ve swallowed your first bite. Unfortunately, it can also make you frown and make a weird face if it’s off. Want to know what it is? Ice cream manufacturers definitely know, and they put lots of time and money into researching just how to perfect it. Texture: It makes or breaks an ice cream more than you realize. Texture can range from hard, “icy” frozen treats to light, smooth, creamy churned ice cream. You probably have a definite texture preference, even if you’re not conscious of it. Think about it: Do you like one brand’s chocolate more than another brand? Is there something that makes one pint in your freezer absolutely irresistible, even though it’s not even a flavor you normally like? It’s probably the texture. Graeter’s ice cream, one of the best-known exports of Cincinnati, Ohio. The process that createsGraeter’s is designed to do the exact opposite of the churning process. It actually folds the ice cream in on itself over and over, squeezing out any air pockets and resulting in a very dense, heavy, concentrated ice cream. While still creamy, it’s very solid, and you have to be careful about how much you eat: A scoop of Graeter’s may well contain almost twice as much actual ice cream as another brand! Conduct some scientific research on your own to see just what texture you prefer: Our ice cream recipes come in Philadelphia (harder) and custard (softer) styles. Make a batch of each and see which one is better!